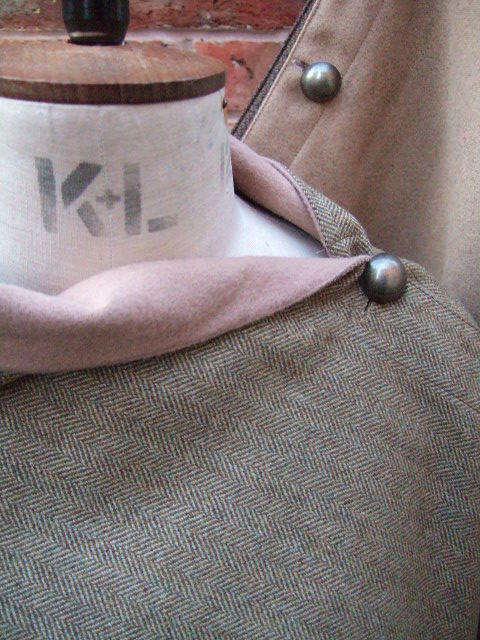 Lt Green Brown Herringbone with camel brown Melton wool. Fully reversible double sided tweed throw wrap. In British Made Tweed. 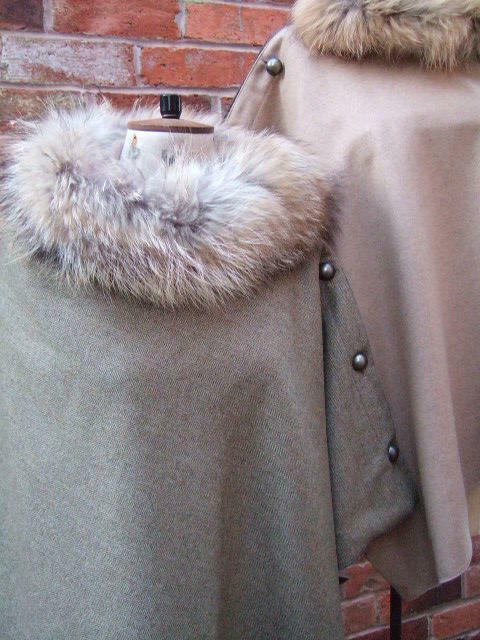 Individually hand cut fully reversible throw/wrap. Manufactured from the finest British made tweed. Finished with Antique metal buttons along the reversible seam detail.